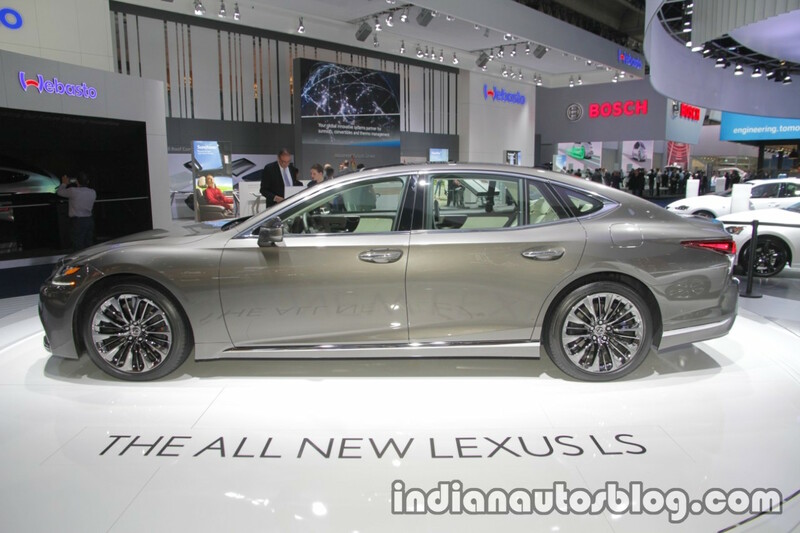 Lexus has showcased its flagship luxury sedan, the 2018 Lexus LS 500 at the 2017 Frankfurt Motor Show. 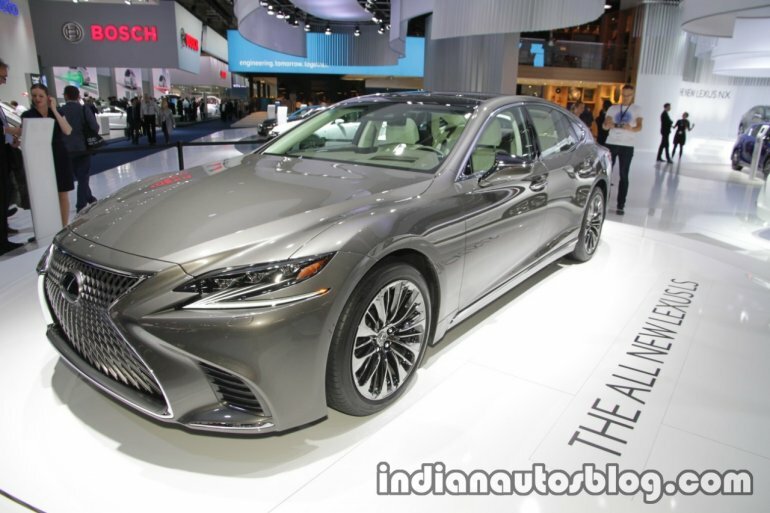 The Lexus LS 500 is based on the Lexus global architecture for luxury vehicles (GA–L) platform. It is the stiffest platform in the brand’s history. The car comes in only a long-wheelbase version. Speaking of the wheelbase, at 3,125 mm long, the car is 35 mm longer than the current LS long-wheelbase model. The vehicle is 5,235 mm long, 1,450 mm high and 1,900 mm high. The car is designed to look like a four-door coupe while being as luxurious and spacious as a ‘Three-box’ sedan. On the inside, the sedan features 28-way power front seats with heating, cooling and massage functions. It is optional for the rear seats as a part of a wider rear seat luxury package. It offers the highest legroom compared to the previous generations of the LS and can be reclined up to 48 degrees. The 3D surround Mark Levinson audio package with in-ceiling array speakers is available as an option. In addition to its 12.3-inch wide navigation display, there’s an optional 24-inch colour heads-up display (HUD). It is the largest in the world and projects a variety of information onto the driver’s field of view. Powering this luxury sedan is a 3.5-litre twin turbo V6 engine with a 10-speed automatic transmission and AWD as an option. The powerplant makes 421 PS of power and 600 Nm of torque. 0-100 kmph sprint comes in at a mere 4.5 seconds. The LS 500 is equipped with Lexus Safety System + which features the world’s first intuitive pedestrian detection with active steering. With this system, if a pedestrian is detected in the lane ahead and a collision is imminent, the LS will automatically brake and steer around the person, while staying in the lane.